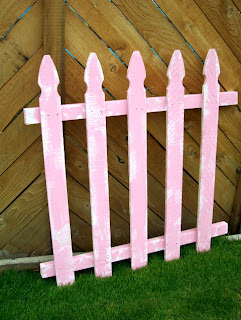 WhiMSy love: More Goodies For The Shop! More Goodies For The Shop! I love my Saturdays!!! It means I get "Nikki Time"!!! And today I "vegged" out at my mom & dad's house & got my crafty on! It was peaceful & quiet & I got a lot done. Well, at least more than I ever could in my own home having curious little on-lookers with their curious little fingers! 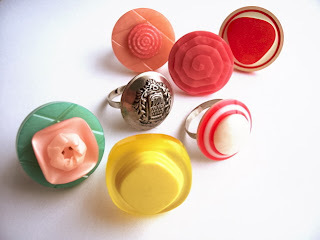 I have been selling a lot of vintage button rings lately & so I thought I should get busy with makin' some more. Here's a sampling of my new goodies! 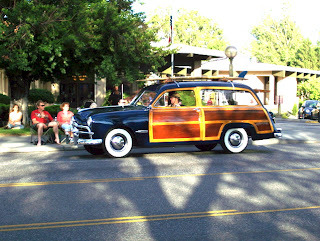 We had an OK time at the Cool Desert Nights car parade last night. We didn't get good seating. It was kinda on the cool-ish side. The cars weren't as terrific as in previous years. 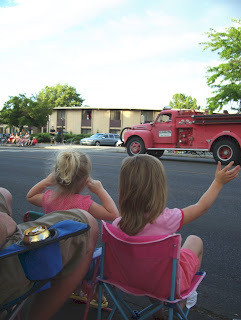 The cars drove a different route which meant they weren't driving on OUR side of the street so the kidlets only got 1 piece of candy. I did get some cool car pics. The one posted here is of an old fire engine. It was blasting its siren REALLY loud. Pazely is covering her ears while Zoey is waving crazily hoping to attract the attention of some candy! We always pick out our favorite car. My husband & I love this car! Complete with surfboard on top!! There was a pink Mustang that was a close 2nd!! Anyway, I hope to get a featured artist for tomorrow, but have not heard from my artist yet! There may be a "Monday" featured artist this week!